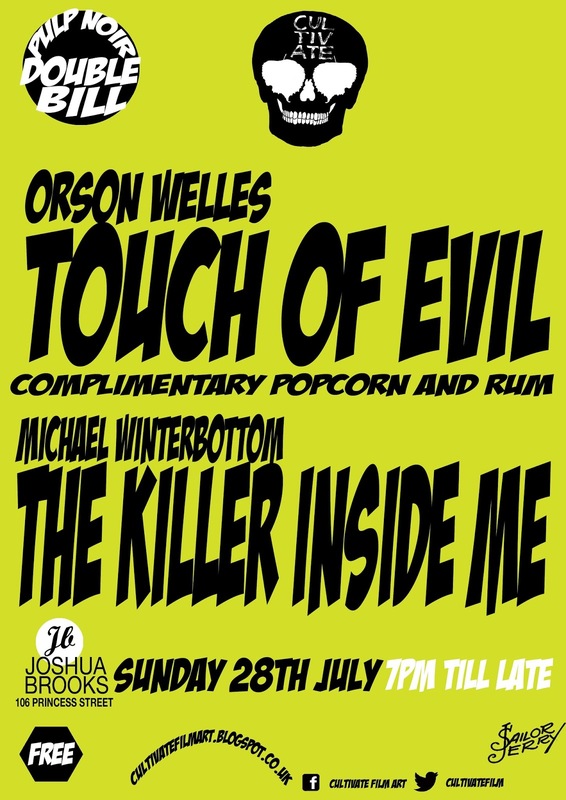 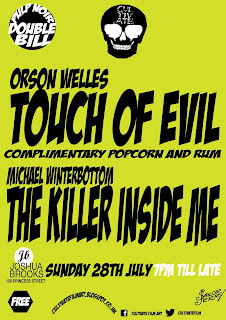 This weeks double bill screenings are first up the original timeless masterpiece TOUCH OF EVIL directed by and starring Orson Welles this pulp noir classic blew the audience away with the dark brooding cinematography of Russell Metty and masterful direction of Charlton Heston, Janet Leigh, Marlene Dietrich and Zsa Zsa Gabor, Based on the pulp novel BADGE OF EVIL by Whitt Masterson this film is an education. 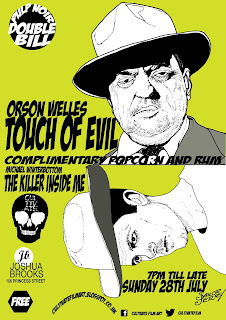 Next up is the work of a director very much inspired by TOUCH OF EVIL Michael Winterbottom. 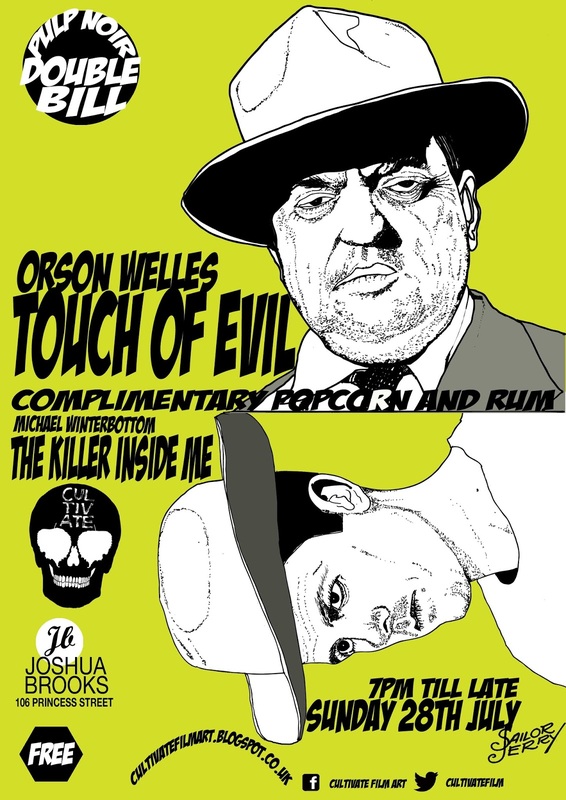 His adaptation of Jim Thompson’s pulps novel THE KILLER INSIDE ME has many of Orson Welles touches the two films complement each other perfectly.